Speaking to us, a trusted source claims one of LG's upcoming Google-partnered Android Wear devices, the Watch Style, will start at $249. 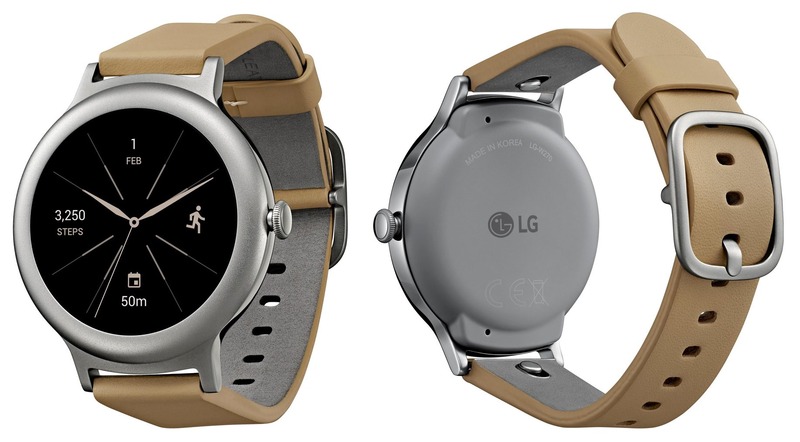 The entry-level Style, leaked in greater visual detail yesterday, will be launched alongside the LG Watch Sport, a much more fully-featured smartwatch. We don't have pricing for that model at this time. Also unclear is whether there will be options that increase the price of the Style based on band or color, but Evan Blass's leak (pictured above) of the silver and rose gold versions look to basically be mirror images apart from their coloring. So my guess is "probably not." This also leaves us to wonder just what the Sport version will cost. Given the Watch Sport adds LTE, NFC, a heart-rate monitor, GPS, and a bigger, higher-res display, I think we're talking at least a $100 premium over the $249 Style. Given that LG priced the similarly-equipped Urbane 2nd Edition at $359.99 on AT&T (but $449 on Verizon), I would say $349 is as good a guess as any, though I also wouldn't be surprised if it was a bit higher. We'll let you know if we learn anything else.